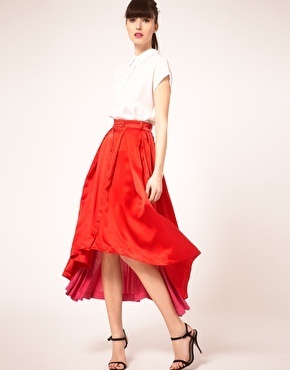 Go full on 50s in the fabulous and fun Amber Skirt by Preen Line. You'll be swinging into fall in style when you don this high-waisted full midi skirt, as it is designed to flow in pure fluid silk and lightweight jersey. Pair it with a cashmere sweater and party platforms. Try it on, with ViewTry!